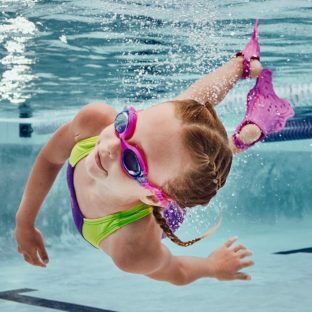 Whether you are just learning to swim, are a little more advanced, have a disability, or are just afraid of the water, Lee McIndoe Forster is the swim instructor for you! Lee currently teaches a wide variety of our Aqua Aerobics Classes and Children’s Swim Lessons. The very first time you’re putting your toes in the water! Otherwise known as the “Bottom Feeders,” students are totally dependent on the instructor. In class, they will learn to become comfortable in the water and will be taught the basic fundamentals of swimming. Get used to blowing bubbles in the water, build endurance and learn the basic fundamentals of breath control! Students will be able to make it from one side of the pool (lengthwise) to the other without going under or needing any assistance from the instructor. Students will learn the basic elements of swimming, starting with thee stroke breakdown. They will work on the freestyle, breaststroke, back stroke and the elementary back stroke. This class is designed for the more experienced and advanced swimmer. You will have to test into this class and if you meet the criteria you’re in! Starting with a review of Level 3, in this class you will do swim team based workouts, work form and technique, learn to breath on both sides and perfect the butterfly (which is one of the hardest strokes). This class is designed especially for the parent and child. 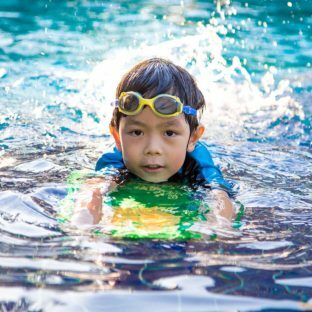 Not only is it a great time to bond with your little one, but it also teaches him or her to not be afraid of the water. You can keep everyone active during the long winter months by making it a play date with your friends and their kids! Class Schedule: Tuesday: 4 pm- 5 pm Level 1, 6 pm – 7 pm Level 1 Wednesday: 6 pm – 7 pm Level 2 Friday: 5 pm – 6 pm Level 2/3, 6 pm – 7 pm Level 4/ 5 Sunday: 10:45 am – 11:30 am Parent/Child Level 1/2: Only 8 kids permitted per class. Lessons can be modified according to the swimmers ability.